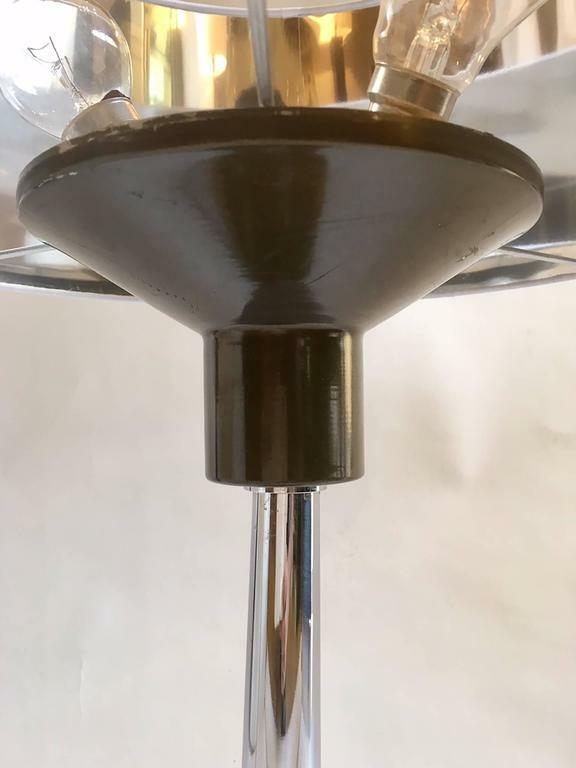 Pair of lamps Art Deco era, manufactured in lacquered metal in his base and column in chromed metal. Shades in white.patent leather, silver inside. 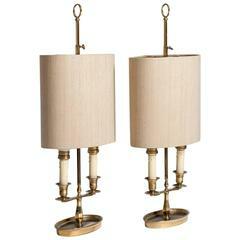 20th century gilt bronze two lights bouillotte lamps with silk shades. 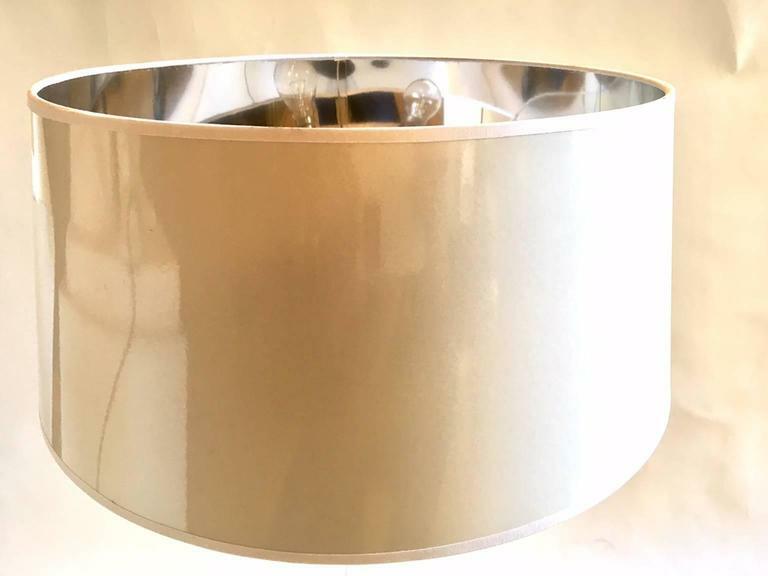 Flower table lamp made in high quality brass depicting a lotus flower and foliage, renovated and new electrical wiring, with two points of light, lampshade screen in silk and velvet. 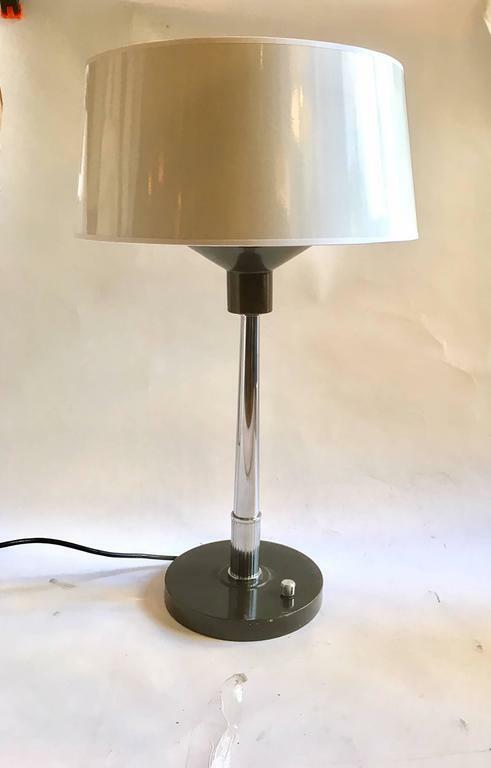 Pair of lamps Art Deco era, manufactured in lacquered metal in his base and column in chromed metal. Screens in white. 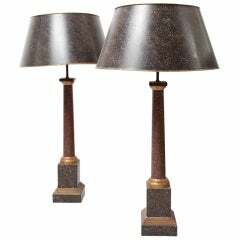 Great pair of lamps neoclassical imitating porphyry with metal shades. 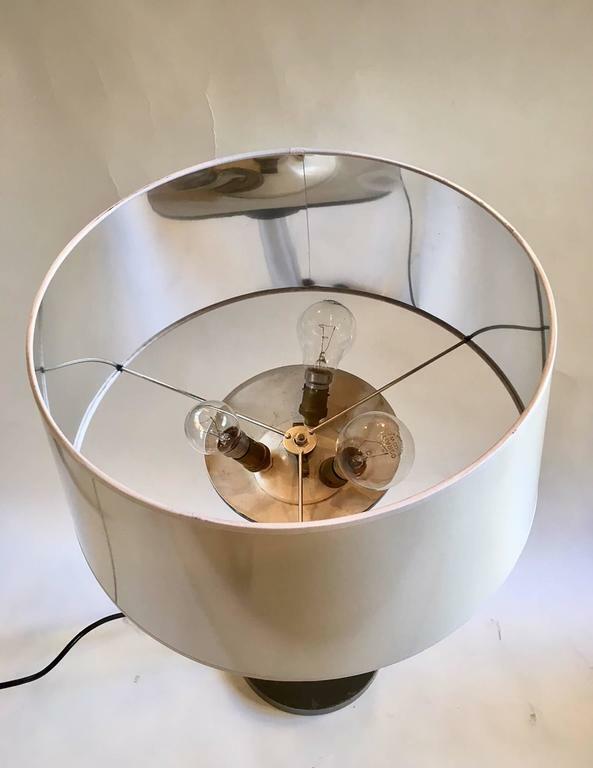 Beautiful 20th century French Art Deco table lamp from the 1930s. 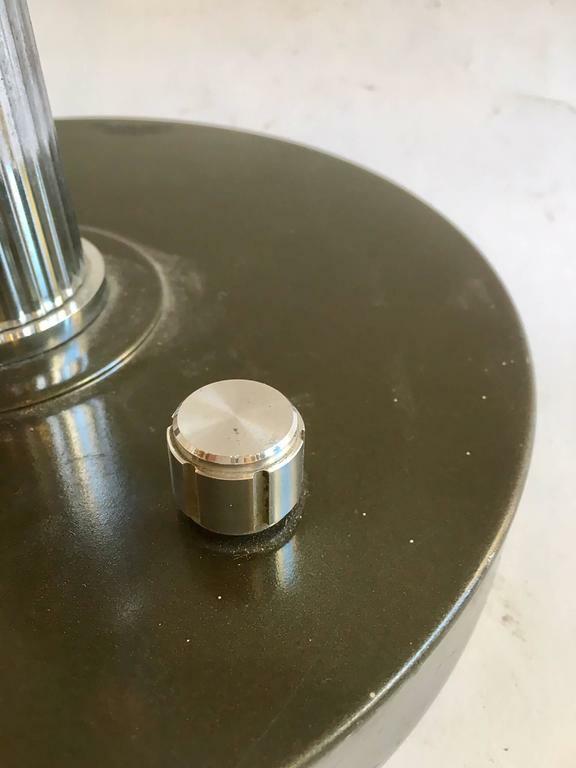 The base is made with chromed metal and green glass. The lamshade is a white glass. 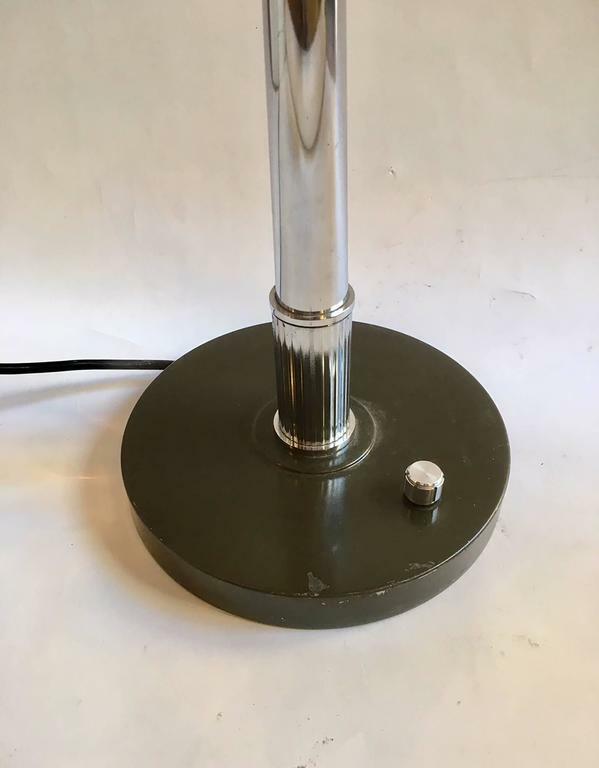 It's a very elegant table lamp. 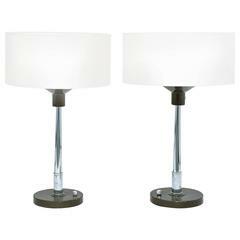 Pair of 20th century Kashmiri table lamps Brand new wiring. Pair of 20th century Kashmiri candlestick table lamps Brand new wiring.